Nevada residents may not be aware that there are a number of different trusts that may be used to achieve estate planning goals. The provisions of a trust can be customized to an individual’s desires regarding when distributions will be made to beneficiaries and under what circumstances. 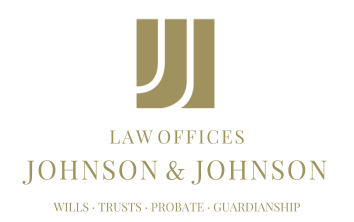 All trusts are defined as either revocable or irrevocable trusts. Revocable trusts are also called living trusts. This is due to the fact that the grantor retains the use and control of the assets in the trust during his or her lifetime. These documents can be changed, amended or even canceled during his or her lifetime. The grantor can also serve as the trustee, and the alternate trustee would take over the administration of the trust upon death. When the person who created the trust dies, these trust ordinarily become irrevocable. An irrevocable trust cannot be changed once it is executed. The assets that are titled to the trust must remain there until the trust expires. The main advantage of an irrevocable trust over a revocable one is the tax exposure. Estate taxes are still assessed on the assets held in a revocable trust. If the main objective is to limit estate taxes, an irrevocable trust may be preferred. There are numerous decisions that need to be made before a Nevada resident settles on what type of trust he or she may want. The goals an individual wants to achieve are important when choosing between revocable and irrevocable trusts. Discussing all of the options available with someone who is knowledgeable in the area of trusts — and estate planning in general — could ensure that the best choice is made.